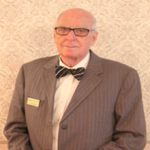 Glenn E. George is the founder of Glenn E. George & Son Funeral Home. He opened the first funeral home in St. Paul in 1972. Glenn graduated from Waldron High School and then graduated from the Indiana College of Mortuary Science in 1970. Glenn has been married to Moneida over 50 years, and has one son, Tony, and two daughters Nancy and Cindy. Glenn’s hobbies include attending auctions and buying /selling antiques. Tony is co-owner with his father, Glenn. Tony graduated from Shelbyville High School in 1970 and Mid America College of Funeral Service in 1980. 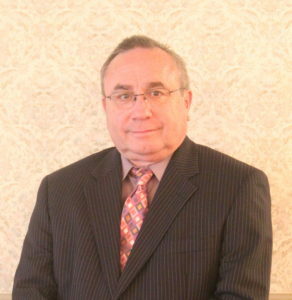 He has been associated with the funeral home since graduation. Tony is married to Rita, they have four children, Matt, Brent, Aimee, and Alyssa. Tony enjoys fishing, sports, selling on Ebay and going to auctions..
Brent is the third generation of Georges to take interest in the funeral home. He has been with the funeral home for over 8 years and graduated from the Mid America College for Funeral Services in 2004. He is now a funeral director with the firm. He enjoys sports, riding his motorcycle and hunting. Rita, Tony’s wife, is the administrative assistant and musician for the Shelbyville location. Rita is involved in the day to day operations of the funeral home and she has done most of the interior decorating of the Shelbyville funeral home. Rita came from Shelby National Bank where she worked for eight and one half years. She graduated from North Decatur High School in 1969, Tony and Rita share 4 children, Matt, Brent, Aimee and Alyssa. 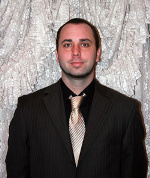 Matthew has been with the funeral home for several years. He performs the computer maintenance, website maintenance and produces the video presentations for the funerals. He is married to Sarah, and they have two children; Stella and Griffin. He enjoys singing/playing guitar in church, real estate investing, and reading. Dianna is known in our community as the retired Executive Director of Shelby Senior Services and has been Co-facilitator of the funeral home's Coffee and Comfort group for many years. Most of her career she served as a Hospice Administrator/Consultant throughout the state. She and her husband Bill moved to Shelby County 25 years ago and have been active members of the community. Since "retirement" she became licensed in Health and Life insurance and can assist with those questions. 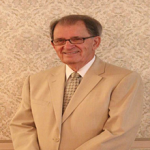 Jim has been with Glenn E. George and Son Funeral Home since 1997. He retired from National City Bank after 32 years service. Jim Graduated in 1953 from Shelbyville High School. A lifelong resident of Shelbyville, Jim is married to Liana, and they have a daughter Kim. Jim is active in the community and enjoys playing golf. 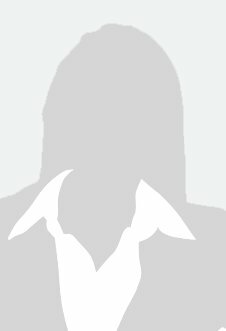 Elaine has been with Glenn E. George and Son Funeral Home since November 2014. She is married to Kent Cassidy. Their sons are Craig Cassidy, Keith Garrett, and Brian Garrett. Elaine enjoys spending time with her family and interior decorating.